I’m in the lucky position where I see some beautiful outdoor living spaces. 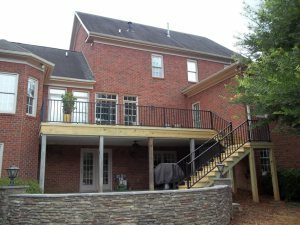 From decks and patios to porches and pergolas, our Archadeck locations design and build absolutely gorgeous custom outdoor living spaces and often share images with me. Just this week I got some images from our Archadeck of Greenville office that I just had to share. This home in South Carolina sits on a small lake. 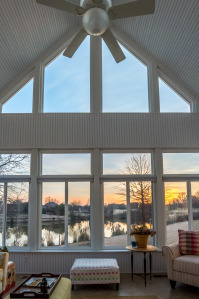 The homeowner wanted a light and airy room where they can enjoy their view and the sunsets at night. It was important the new space worked seamlessly with the existing house as it is easily seen from the surrounding homes. 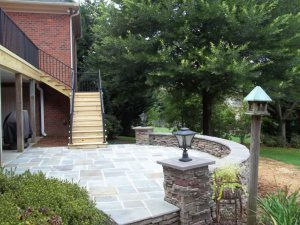 Ronnie Ware of Archadeck of Greenville was able to design a space that was just what they were looking for. With the view and light being two key desires in the room, Ronnie created a sunroom design that is focused on what is beyond on the walls. Large windows surround three sides of the sunroom. The windows have minimal panes so as not to obstruct the view of the lake. Come on, look at that view! To allow for more sunlight, the space was designed with a high-pitched ceiling that provides space for a second row of windows on one side of the sunroom. Additionally, skylights were added to the roof to allow sunlight in from above. 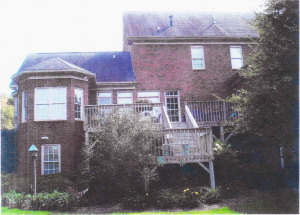 The home’s existing exterior included both traditional brick work and yellow siding. Ronnie incorporated both finishes on the sunroom to make the transition from old to new as seamless as possible. 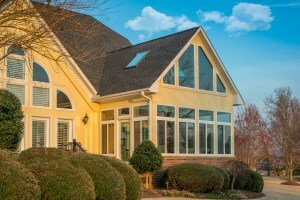 The peak of the sunroom also complements the peaks of the home as you can see in this image. These design details are what make custom outdoor living spaces worth the investment. When it is clear an addition is addition it can result in an awkward interior or exterior. 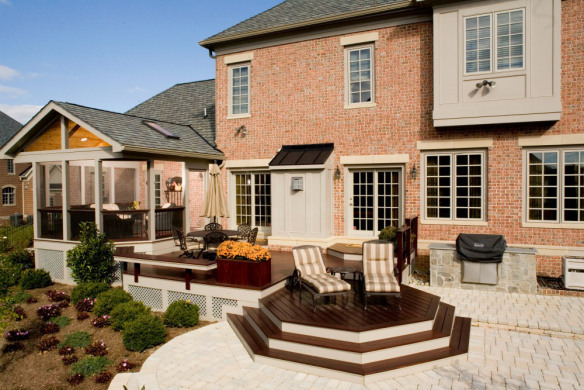 If you are considering adding on a new outdoor living space to your home, please contact your local Archadeck Outdoor Living office. Our trained designers and builders will consult with you on your needs, tastes and budgets to design a space that is purely you. Every year there are stories of deck failures. Either there are too many people on the structure, it’s not built to code or it is just too old. The newest viral video spreading online is from a dock collapse in Minnesota that sent an entire bridal party into the lake below as they posed for pictures.